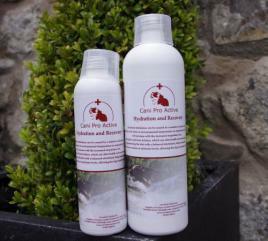 Yumpro Bio Active Free Sample Give away! 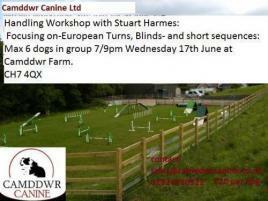 In true Britain's Got Talent Style. 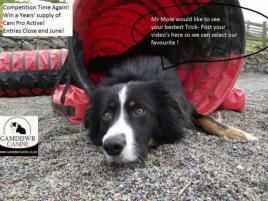 Mr Mole (one of camddwr canine ltd dogs) has decided we will have a 'Best Trick' Competition! 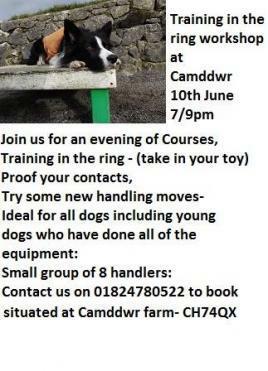 Training in the Ring Workshop at Camddwr on the 10th June at 7pm, running roughly for 2 hours. 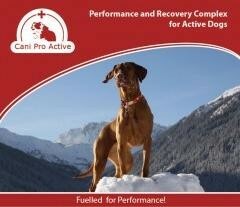 CANI PRO ACTIVE PERFORMANCE AND RECOVERY TRIAL! 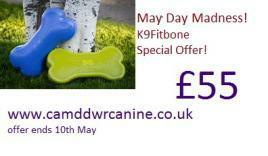 Great time to Optimise your performance and recovery! A a whooping 50% off Cani Pro Active Peformance and Recovery Complex for limited time only. Keep cool this summer with our Cool Coats! 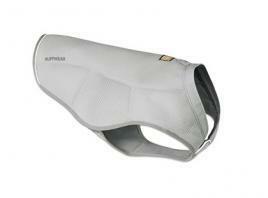 Check out the Nutriment products on our website. 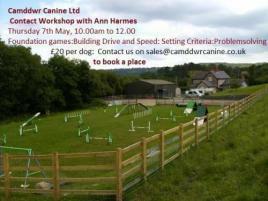 We stock Nutriment Raw here at our shop, we have the full range of working adult dog food along with some extra treats! 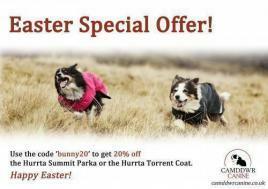 Get 20% off the Hurtta Summit Parka or Torrent Coat this Easter!